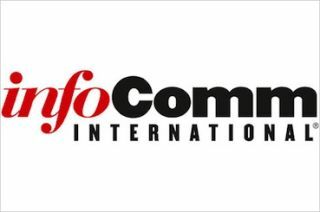 InfoComm International has announced the election results for the 2017 InfoComm International Board of Directors and Leadership Search Committee (LSC). Joe Pham, Ph.D., president and CEO of QSC, has been elected secretary-treasurer of the board by InfoComm membership. InfoComm members also elected to the board Laura Moorhead, CTS, president of Blue Sky Integrated Technologies, and Jon Sidwick, vice president of Maverick. In addition, the Leadership Search Committee appointed Steve Durkee, president of Commercial Products for Milestone AV Technologies, and Rebecca Onchi, director of Technology Solutions at PayPal to the board of directors. Jeremy Caldera, CTS-D, CTS-I, vice president of Technology and Operations for Integrated Audio Systems, was elected by members to serve on InfoComm's Leadership Search Committee. "At the core of InfoComm's success are our members and volunteers," said David Labuskes, CTS, CAE, RCDD, executive director and CEO of InfoComm. "And at their core are the dedicated men and women who choose to serve on our Board and Leadership Search Committee. It is a privilege to work with such high-caliber individuals, and I look forward to our new Board with great anticipation and confidence in our continued success." InfoComm thanks outgoing chair of the Leadership Search Committee and former president of the InfoComm board Matt Emerson, CTS, CEAVCO Audio Visual Co., and board members Deb Britton, CTS, K2 Audio LLC; Frank Culotta, CTS, Symco; and Maria Gaitan, Grupo Niza, for their years of service to the InfoComm board of directors.